Live : joint press conference by syed @shahnawazbjp and shri @swapan55 at bjp hq. Money for the NYAY is not going to come from the middle-class of the country. It is going to come from the pockets of people like Anil Ambani, Nirav Modi and Mehul Choksi. 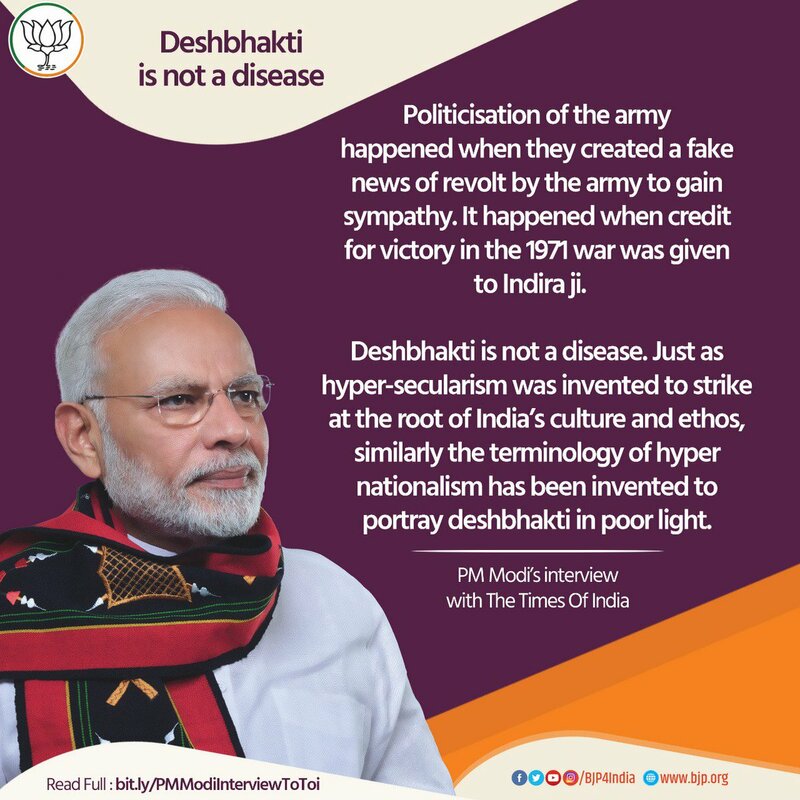 "Politicisation of the army happened when they created a fake news of revolt by the army to gain sympathy. It happened when credit for victory in the 1971 war was given to Indira ji." 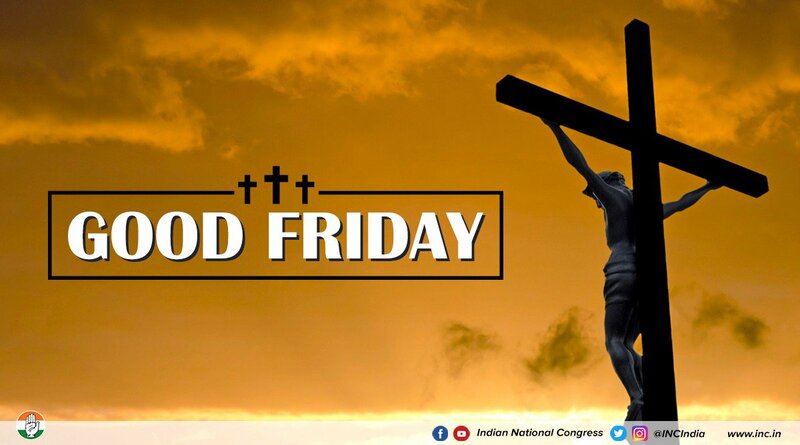 On #GoodFriday we honour the sacrifice of Lord Jesus Christ. On this holy day we must strive to emulate his teachings of love, forgiveness & compassion. "I’m confident that we will be blessed by the people yet again with a massive mandate, with more seats than before. A stronger government than before. 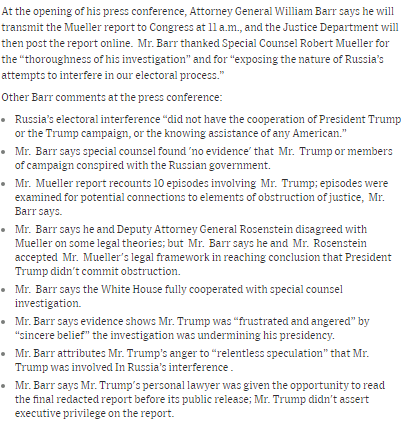 In all the states that I’ve visited, I’m seeing unprecedented support." "UP will vote for opportunities and not opportunism. UP will vote for development and not dynasty. 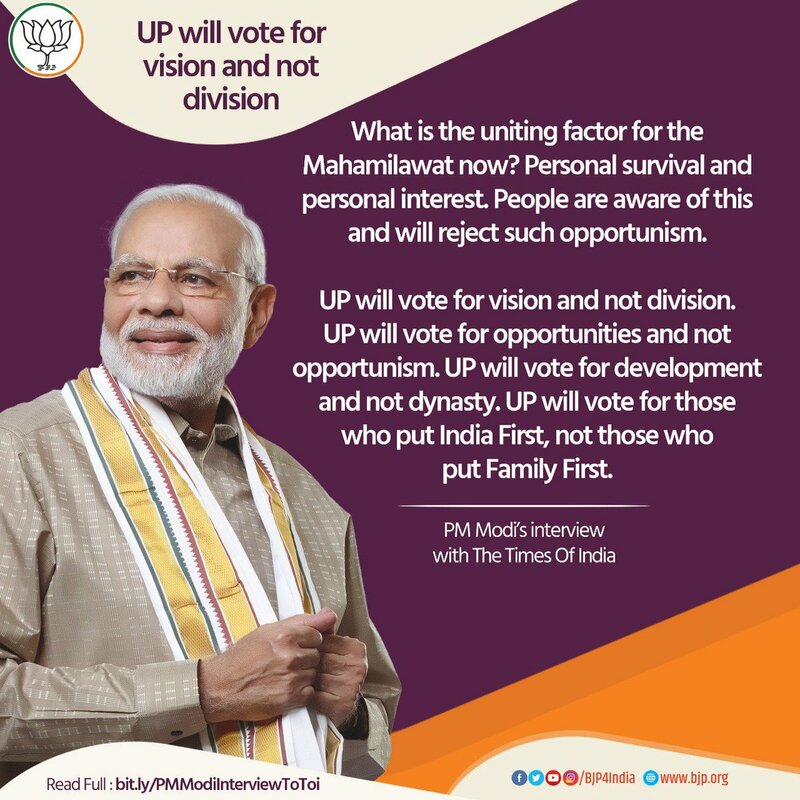 UP will vote for those who put India First, not those who put Family First." We don't just promise, we deliver. 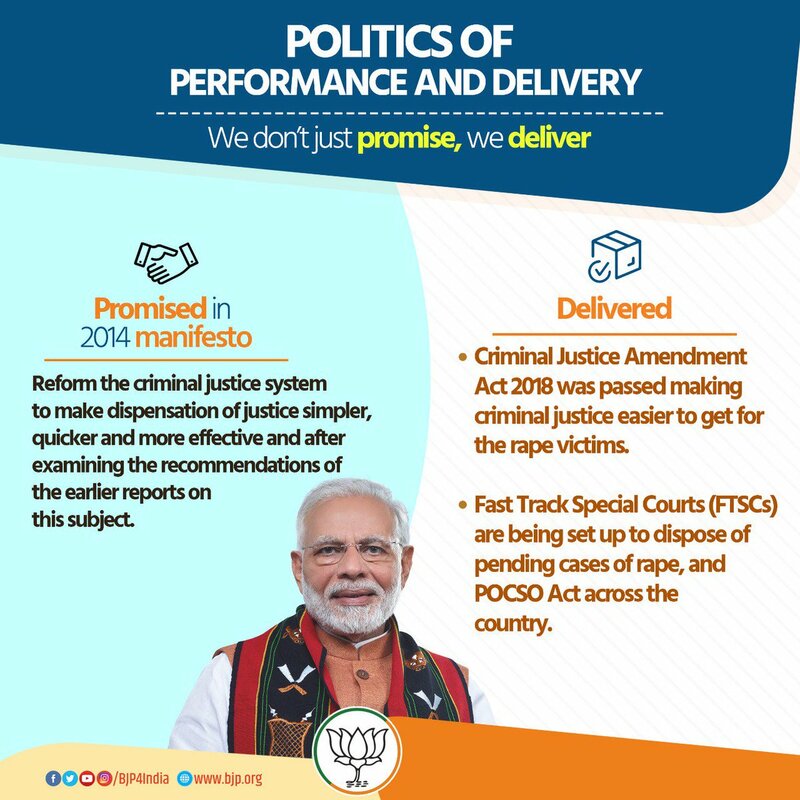 Promise: Will reform the criminal justice system.